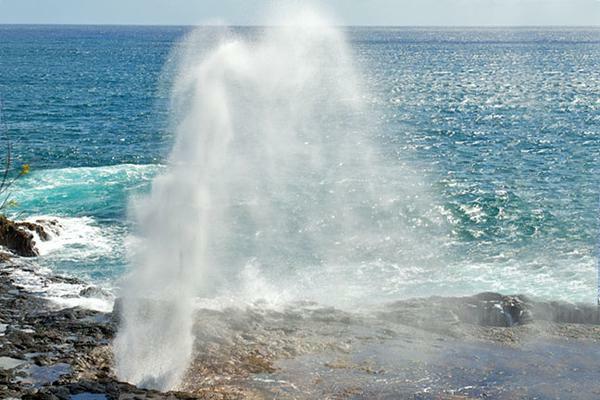 One of Hawaii’s most beautiful popular tourist destinations is waiting for you! 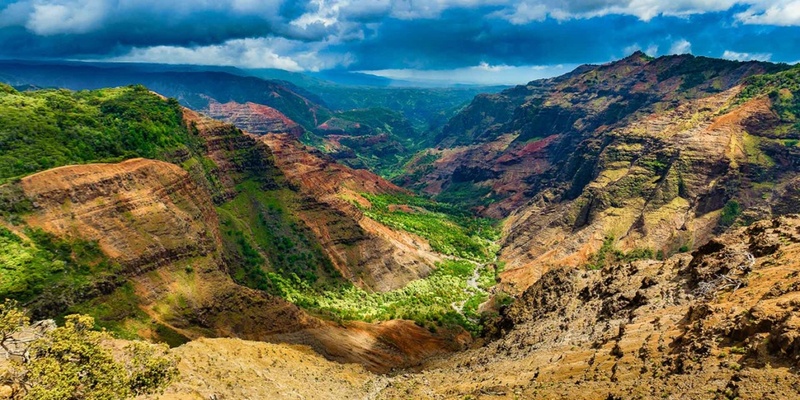 Waimea Canyon, filled with cascading waterfalls, lush rain forest, and beautiful multicolored rocks, is known as the “Grand Canyon of the Pacific” with its half-mile depth and ten-mile length. 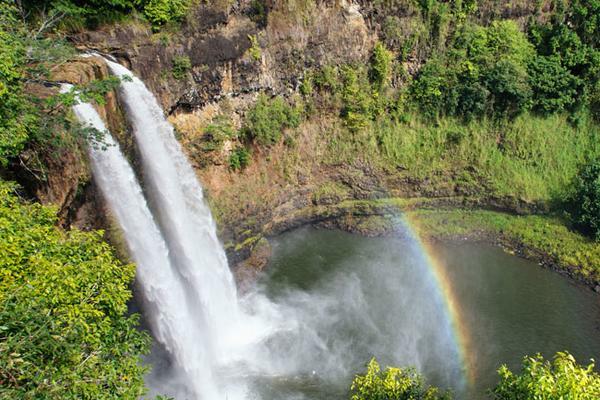 Make your time in Hawaii count and see some of the most beautiful sights the islands have to offer. 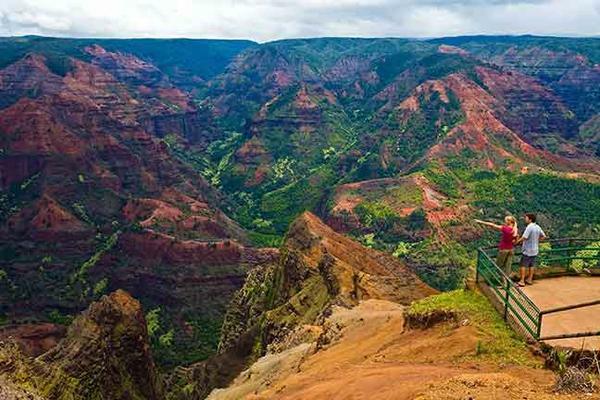 Join the Waimea Canyon Sightseeing Tour. Note: Children under the age of 4 are free and must be seated on an adult’s lap. If you require a seat for a child under 4, you must purchase a child’s admission. 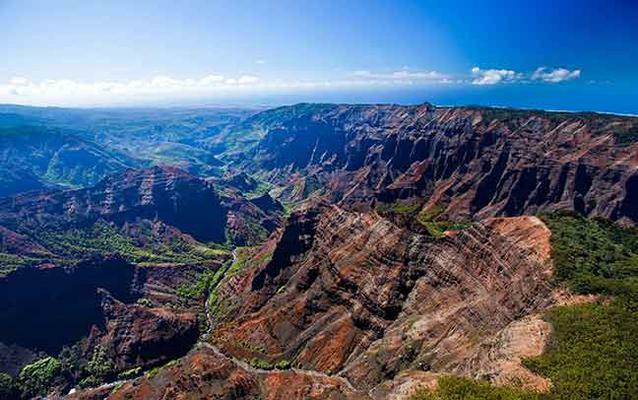 Over hundreds of thousands of years volcanos, earthquakes and erosion have created dramatic variation in the landscape. The 3500-foot deep canyon’s natural beauty and size is awe-inspiring, including the waterfalls that are visible in the distance.